Microsoft Portals can be used to surface data from Microsoft Dynamics 365 Customer Engagement for an external audience. Microsoft Portal provide various pre-configured templates for Customer Portal, Partner Portal, and Employee portal amongst others. Recently the portals were extended to provide Multi-language support, and here we cover the steps to enable multiple languages for the portal. Portal Language: Select the language that you want to include support for. Note: Currently 43 languages are supported out of the box. 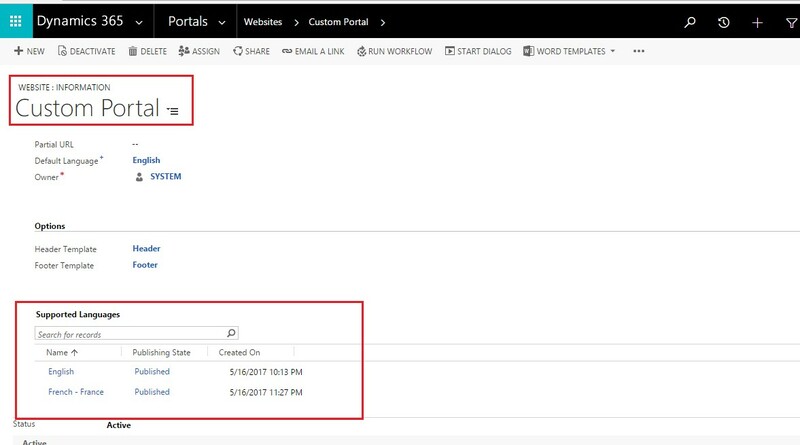 To know more about languages supported in Dynamics 365, go to Portals>Content>Portal Languages. 5. With the language support added, you will notice that it has automatically created Web Link Sets for the navigation records for each of the enabled languages. Open each of the Link Sets and update the text as required for the specified language. 6. Next is to update the content of the pages for this navigate to Portals>Web Pages. Here for each web page, there will be a Parent Page. 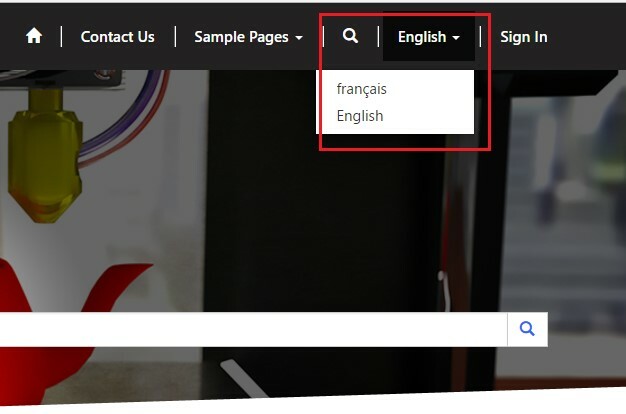 Create localization for each language activated for the portal (Currently we have enabled the English and French language for the portal). You need to modify the content for the specified language manually as shown below. You now have an easily configurable multi-language supportive Portal that is managed completely from within Dynamics CRM without requiring to write any line of code.